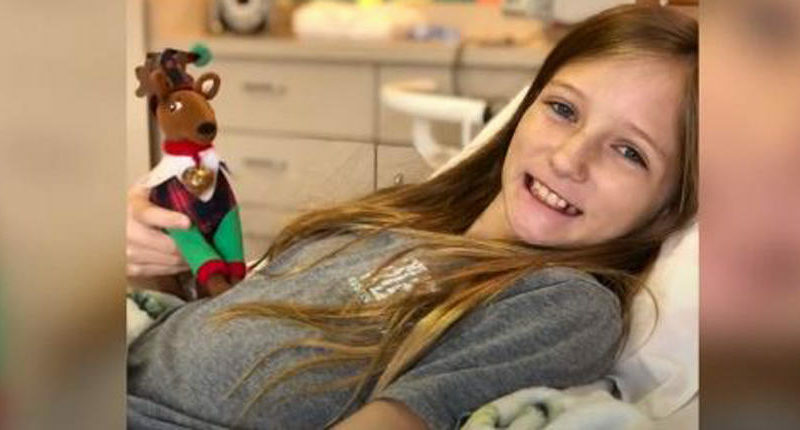 11-year-old Roxli Doss was diagnosed in June with an inoperable brain tumor. It was specifically diagnosed as ‘diffuse intrinsic pontine glioma,’ also known as DIPG. Dr. Harrod said, “When I first saw Roxli’s MRI scan, it was actually unbelievable. The tumor is undetectable on the MRI scan, which is really unusual.” Doctors have no explanation as to why the tumor disappeared. There is no trace of a tumor but doctors are still monitoring her. But Scott Doss said, “She is just as active as she ever was.” Roxli is now healthy and enjoying her hobbies, such as horseback riding.